Merida’s ultimate Carbon aero road race bike. Lightweight, stiff and responsive using the aggressive geometry of their CF4 frame. This geometry is ProTour proven, their most expensive carbon lay-up as used on the Tour de France and Giro. 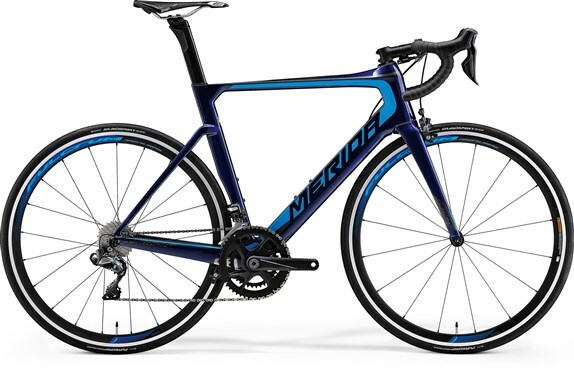 It gives incredible stiffness to weight ratio with the advantages of an aerodynamic profile. Internal cable routing, Di2 routing and with a complementary component spec, the Reacto is ready to give you your fastest times. There is only 1 watt difference in efficiency between the calliper and disc brake version, very little sacrifice for the improved braking and extra wheel stiffness due to the 12mm bolt through axles.